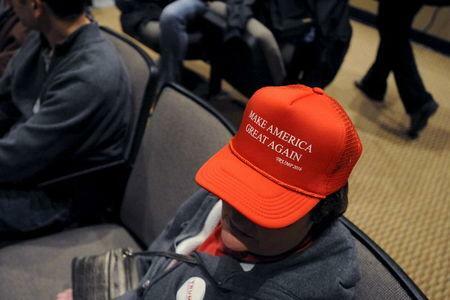 WASHINGTON/NEW YORK (Reuters) - A white supremacist group said it has placed thousands of automated phone calls in Iowa urging voters to back billionaire Donald Trump's bid for the Republican presidential nomination because "we don't need Muslims." The telephone campaign is led by the American Freedom Party, which on its website says it "shares the customs and heritage of the European American people." The calls featured the spokesman of a white supremacist group that Dylann Roof, who is accused of gunning down nine people at a black church in South Carolina in June, had reportedly cited as inspiration. "We don't need Muslims. We need smart, well-educated white people who will assimilate to our culture," Jared Taylor, editor of the supremacist magazine American Renaissance, says on the call. Taylor is also spokesman of the Council of Conservative Citizens, a supremacist group with historic links to the White Citizens Council, a segregationist organization set up in Mississippi in 1954. 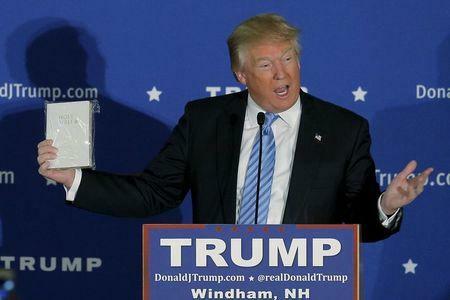 The group also attempted to buy radio time in Iowa but was rebuffed. The group has placed about 200,000 "robocalls" in Iowa and may also target New Hampshire, organizers said. The American Freedom Party published an audio recording of the call on its website. Iowa kicks off the voting in the nominating contests leading up to the November 2016 presidential election with its caucuses on Feb. 1. New Hampshire holds the country's first primary elections on Feb. 9. The campaign by the American National Super PAC injects another controversial wrinkle into a presidential campaign that has been more racially charged than any in recent memory. 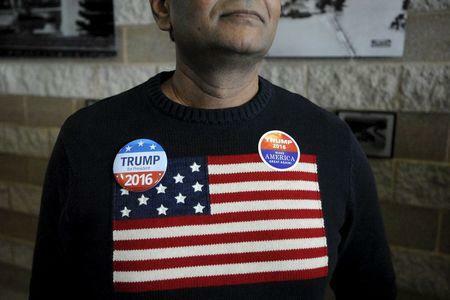 Trump has emerged as a surprise front runner in the Republican nominating contest after calling Mexican immigrants "rapists" in his speech declaring his candidacy and saying the United States should ban Muslims from entering the country, following the massacre in San Bernardino, California, last month by a young Muslim couple. Republican rivals have condemned those remarks as inflammatory, but they have not dented Trump's popularity among Republican voters, who are overwhelmingly white. "I can’t say it surprises me," said Dave Zbaracki, a former Republican who was attending a campaign event for Democrat Hillary Clinton in Waterloo, Iowa. He said many of his Republican friends were "mortified" by events in the race. The group bought airtime on a Des Moines Christian radio station to broadcast its message but the station says it will not broadcast the show. "They're not on our air," Praise 940 AM general manager Jeff Delvaux told Reuters. Trump has not sought the backing of white supremacist groups but several say his success has helped them win new supporters. "Clearly our movement has been energized by Trump," said Richard Spencer, director of the National Policy Institute, a far-right group dedicated to promoting the interests of white Americans. The chairman of the American Freedom Party, William Johnson, who also appears on the call, told Reuters he has spent about $9,000 on the effort and plans to spent another $10,000 of his own money. He said others have volunteered to pay for the effort as well. The group, which originally registered in November as the American National Trump Super PAC before changing its name, also planned to run pro-Trump radio programming from Jan. 12 through Jan. 22, but was notified on Monday morning that the station would not accept its $2,100 payment. "We've been advised by our attorney NOT to run the For God & Country program on KPSZ," an employee wrote, according to email correspondence forwarded by Johnson. Delvaux, the station manager, declined to say why the station opted to return the money. Other white supremacist leaders said that while many of their supporters supported Trump, they did not plan to formally campaign on his behalf. Michael Hill, president of the League of the South, said his members were most excited about Trump's potential to disrupt the American political system, which could make it easier for them to accomplish their goal of breaking the South away from the rest of the United States. "I'm looking for American politics to become pure chaos," he said. Spencer, of the National Policy Institute, said he planned to vote for Trump but thought white nationalist groups would actually hurt the real-estate billionaire's prospects if they campaigned for him. "Most white people are afraid of our ideas," he said. "We're not going to really help candidates by giving them our seal of approval," he added.